Segmentation is one of the most common operations in medical image processing. 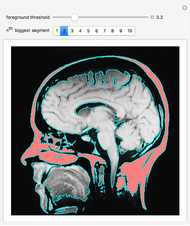 This Demonstration shows one way to segment different regions in a digital head scan. Shadi Ashnai "Segmenting a Medical Image"